Browse: Home / 2008 / November / 24 / Neighborhood Centers, Inc.
Photo Courtesy of Neighborhood Centers, Inc. When Neighborhood Centers, Inc., the largest non-profit provider of social services in Houston, launched an initiative to radically reshape the model for metro-wide social service provision, Crescent Growth Capital was enlisted to enable its first manifestation. CGC structured an $11 million New Markets Tax Credit qualified equity investment to fund the Gulfton/Sharpstown Neighborhood Campus. 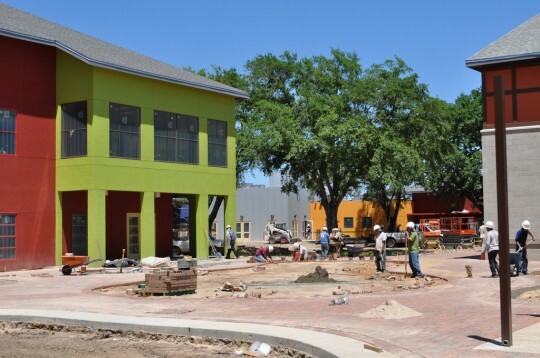 The campus built upon Neighborhood Center’s pre-existing Head Start program by adding a charter elementary school, a comprehensive family education center, and an economic development incubator. Considered Houston’s Ellis Island – due to the hyper-dense population of immigrants who occupy the neighborhood’s enormous oil boom-era multi-family apartment complexes – the Gulfton/Sharpstown neighborhood exhibits unquestioned dynamism alongside troubling poverty. Approximately 40% of families with young children in the community live below the poverty line, and nearly half of all households earn incomes below $25,000. With fundraising for the new campus having stalled, CGC leveraged existing pledge dollars to enable this beneficial addition to a challenged neighborhood.